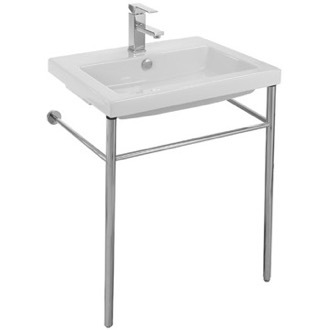 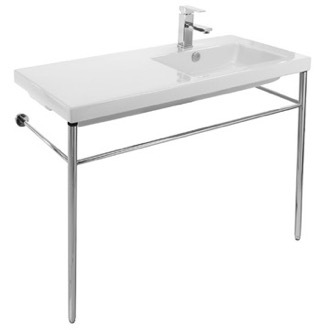 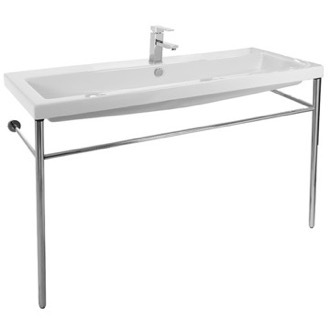 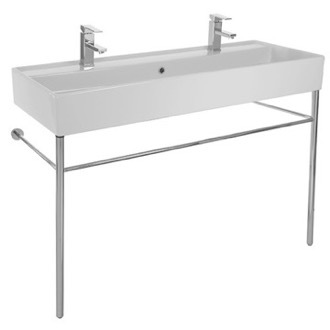 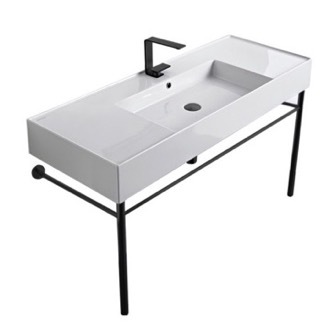 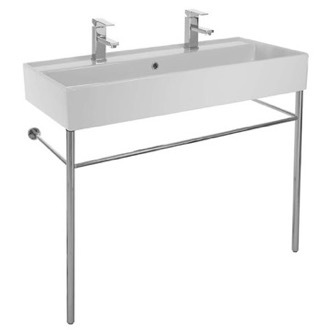 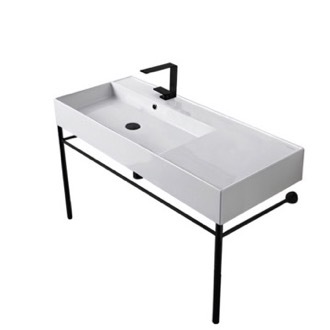 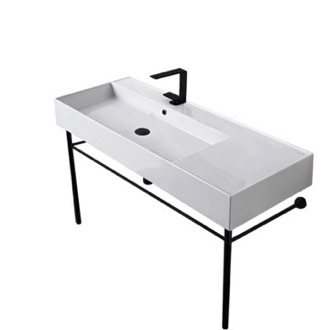 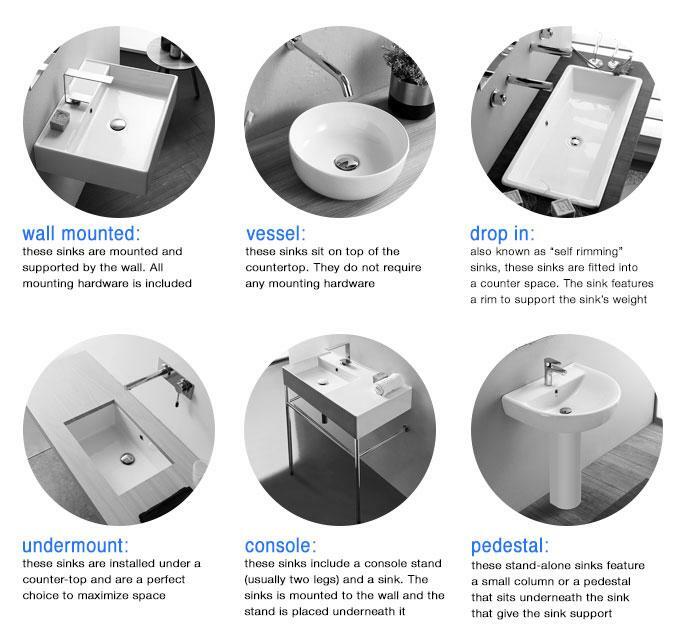 Shop our selection of pedestal bathroom sinks and get FREE shipping on all orders over $99! 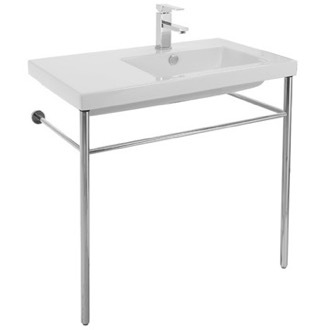 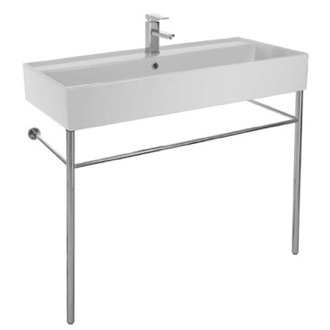 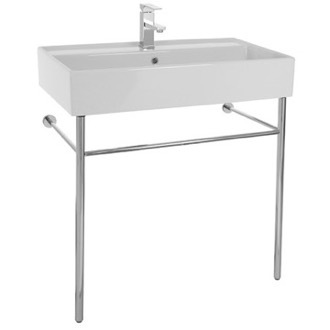 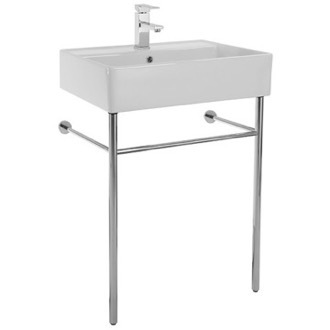 A pedestal sink is an iconic bathroom fixture, although plenty of modern versions exist. 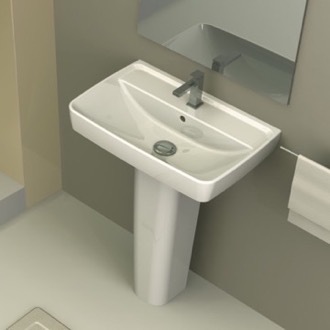 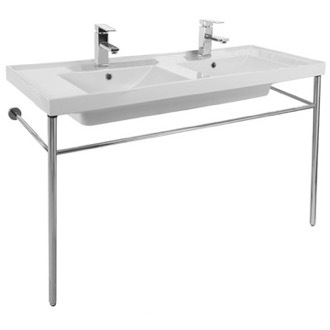 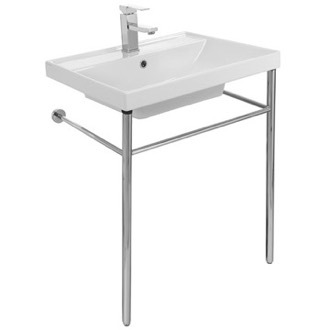 The key feature of pedestal sinks is that they're designed to stand alone, with no vanity beneath. 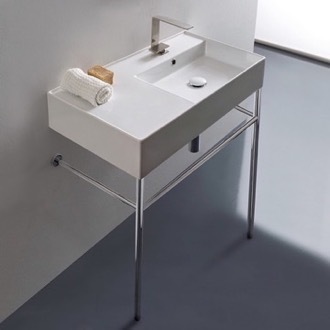 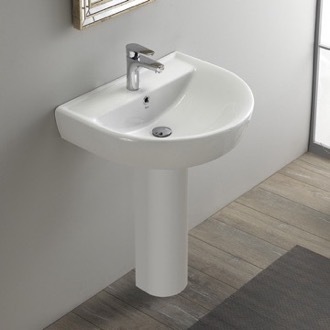 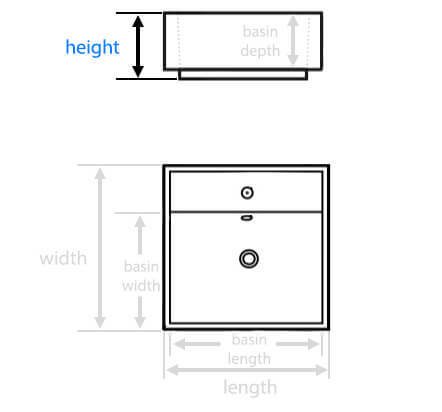 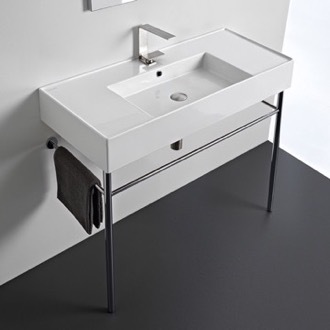 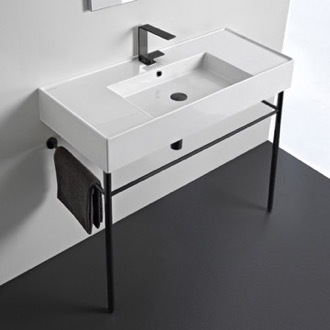 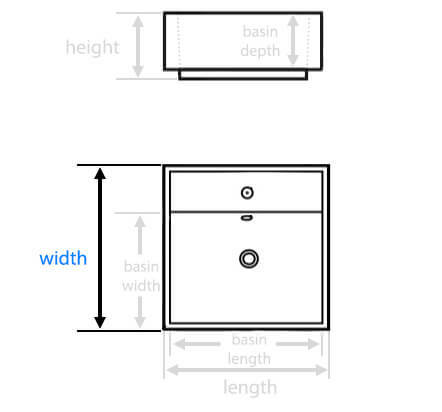 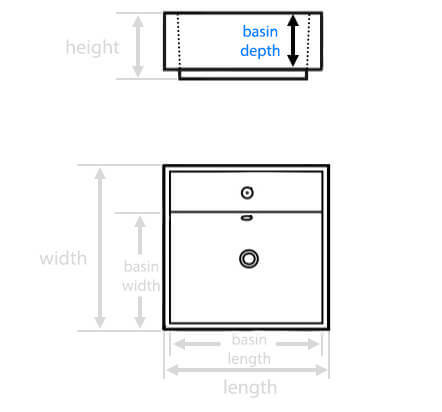 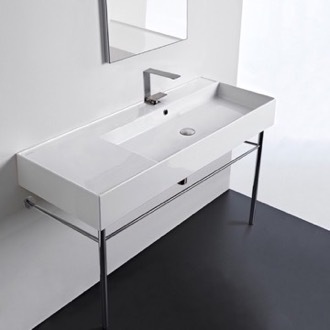 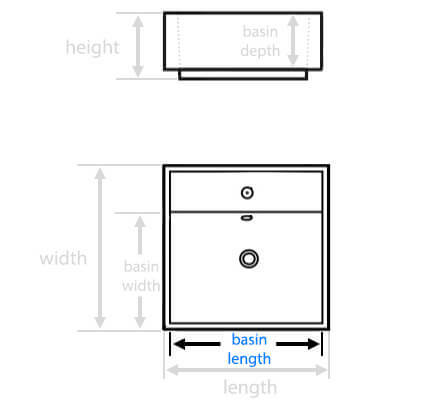 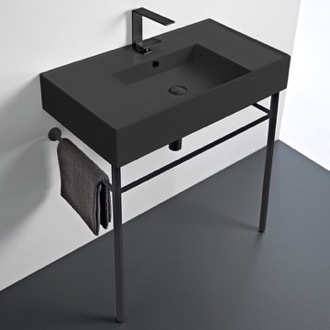 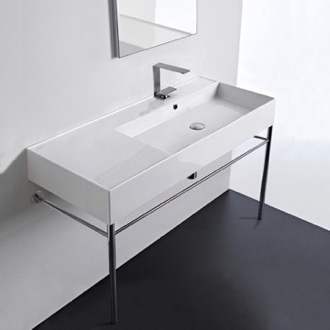 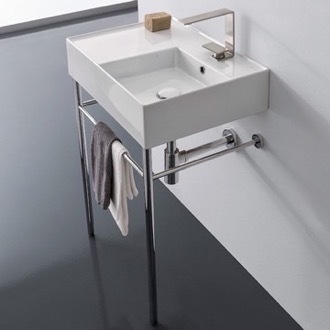 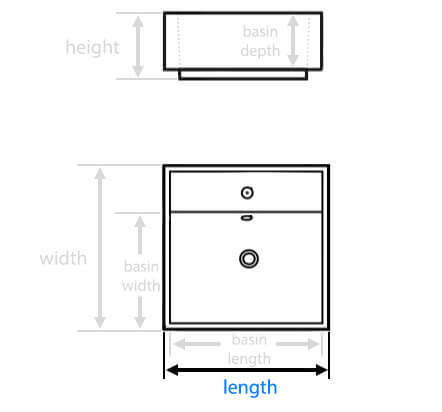 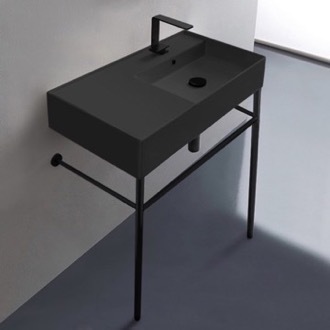 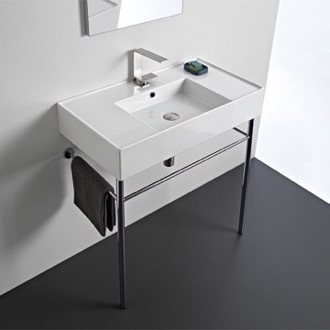 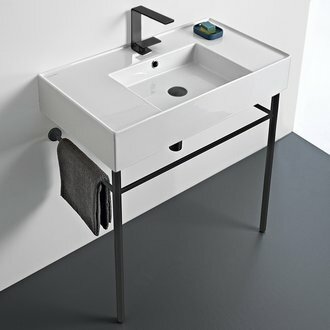 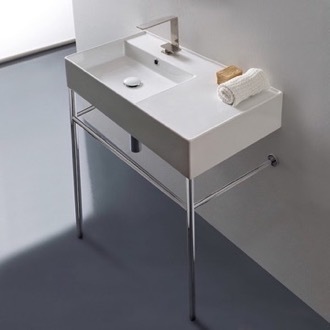 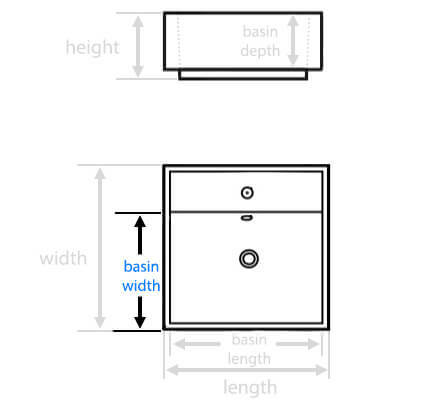 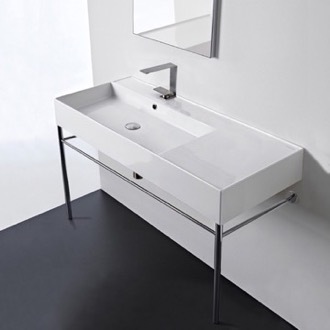 This makes pedestal sinks an attractive option for tight spaces or where storage isn?t required. 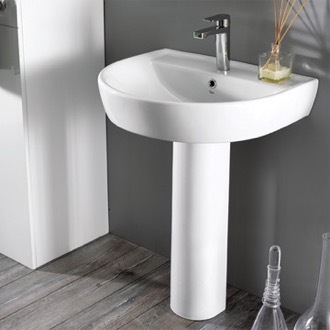 Some pedestal sinks offer an extra-large sink rim, giving you a place to store soap, towels, or other bathroom toiletries. 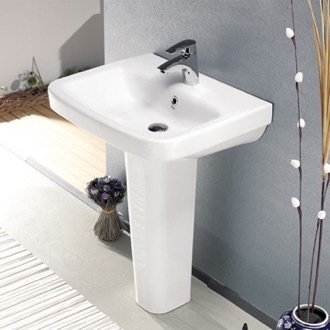 More shopping tips Pedestal bathroom sinks are often found in powder rooms or smaller bathrooms but their undeniable style makes them perfect for any size bathroom. 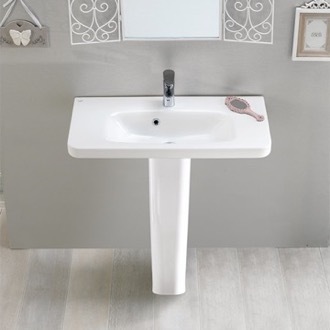 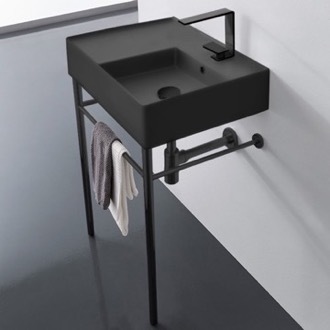 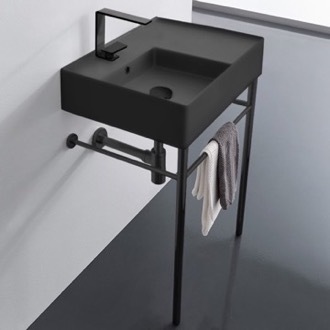 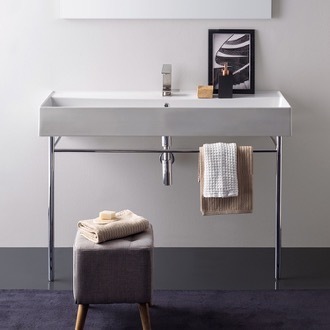 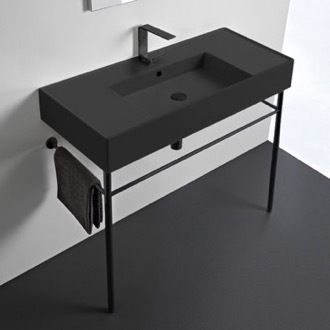 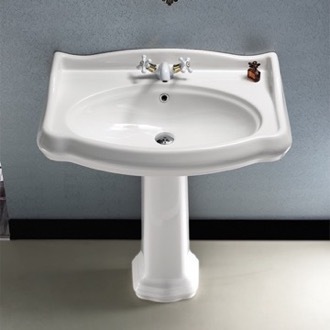 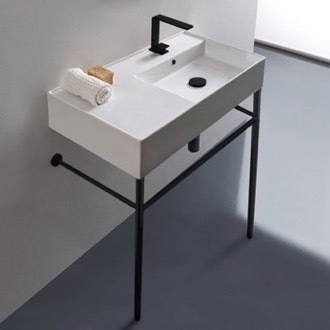 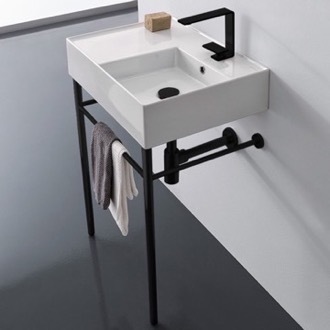 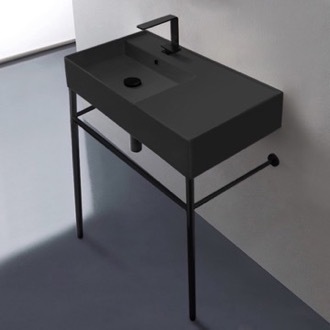 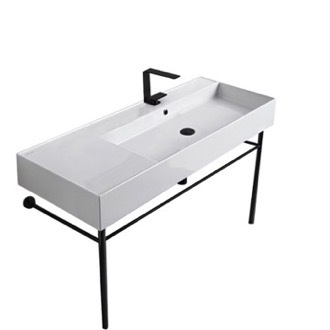 There's no rule that says the majority of your bathroom storage has to come from your sink so if you have storage solutions elsewhere in your bathroom, free standing sinks could be a great way to add an extra design element to your oasis. 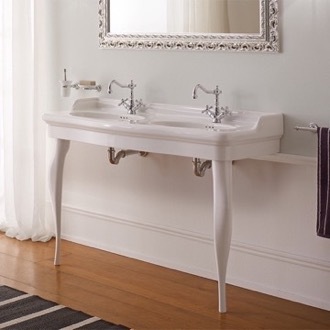 Pedestal sinks are a great way to achieve double sinks in a bathroom that otherwise wouldn't have allowed it. 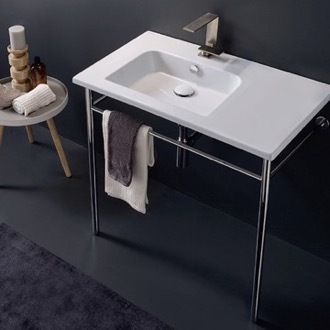 One of our favorite benefits associated with pedestal bathroom sinks is that with limited surface space, there's no room for clutter. 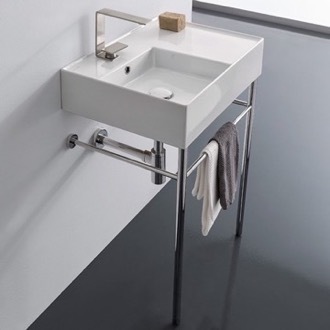 It will be easier to keep your bathroom clean, organized, and inviting. 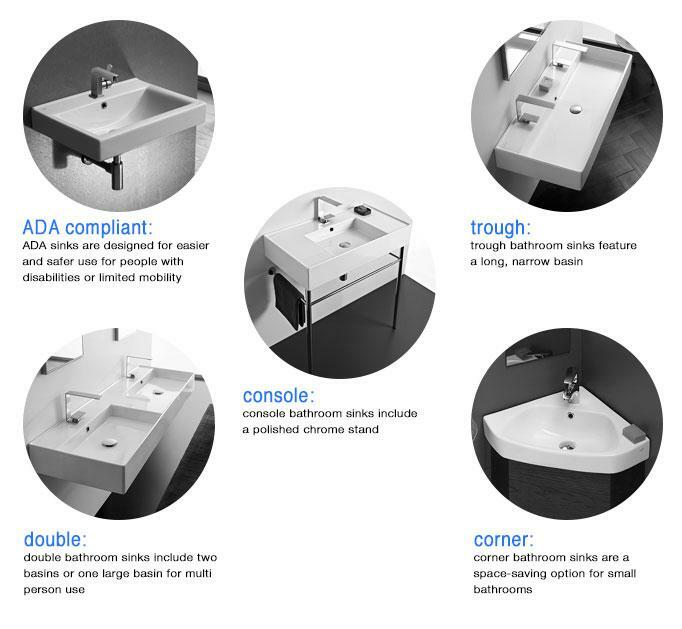 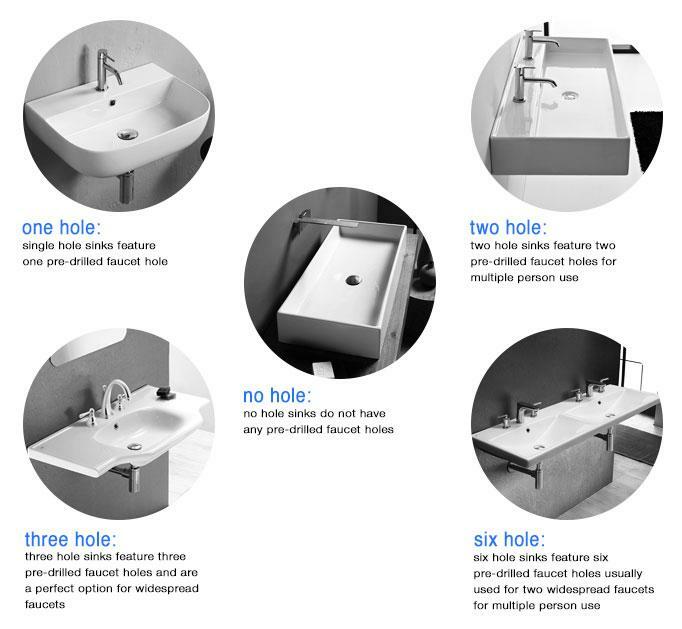 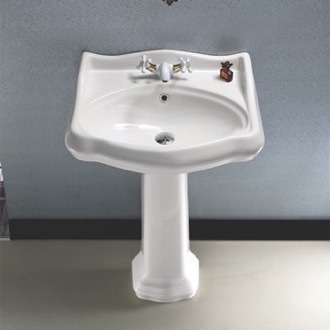 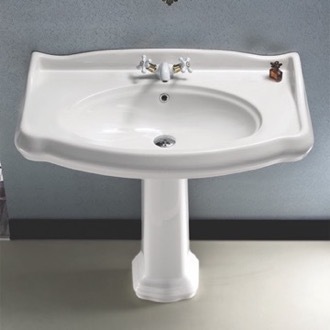 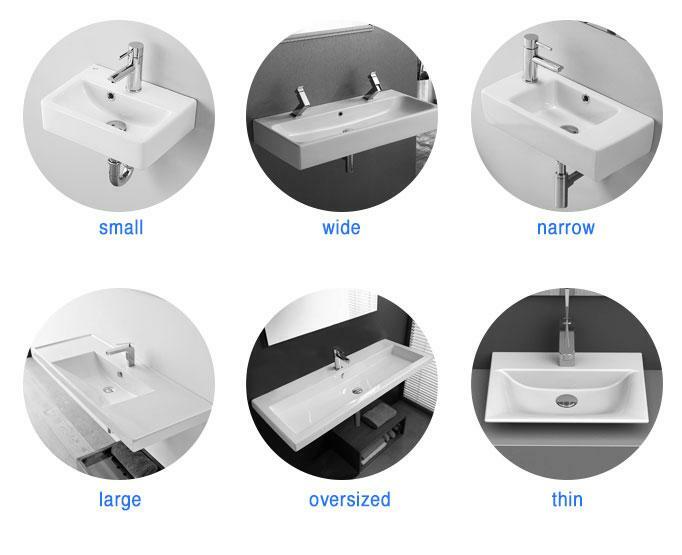 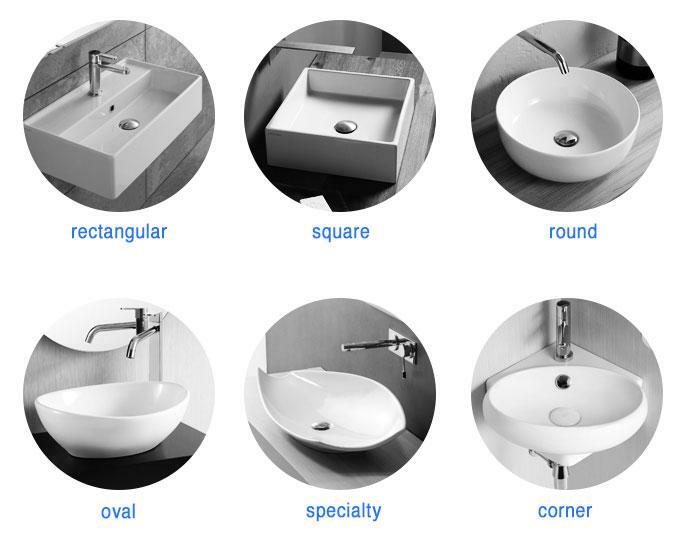 We have countless variations of pedestal sinks. 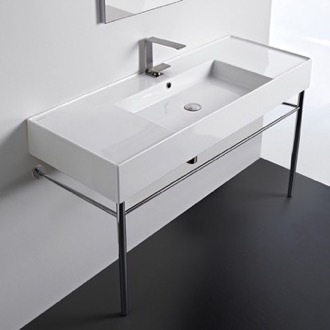 You can go with a standard design or one with added elements for a truly one of a kind piece.